Brightening AHA Peel Mask (60ml) & Ultra Purifying Mud Mask Duo (60ml) with 25% off the usual price. 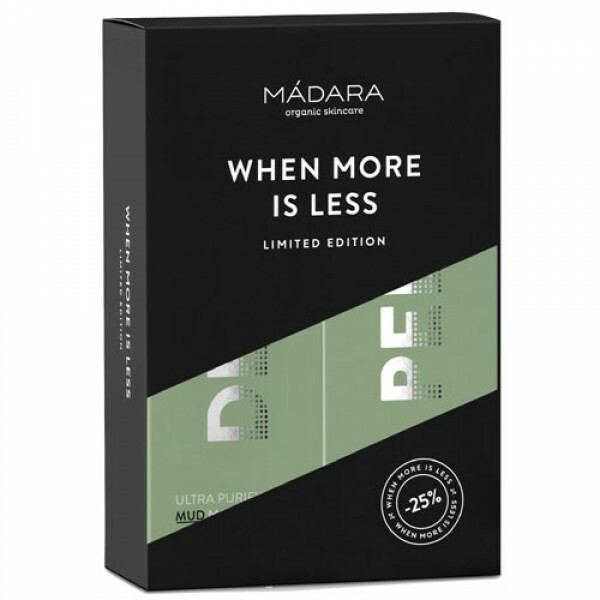 Madara Ultra Purifying Mud Mask (60ml) - Deep cleans, tightens pores and conditions, leaving skin fresh, matte and revitalised. This deep-purifying detox mask with Nordic forest lake mud has a deep cleansing action ideal for oily, congested and combination skin. 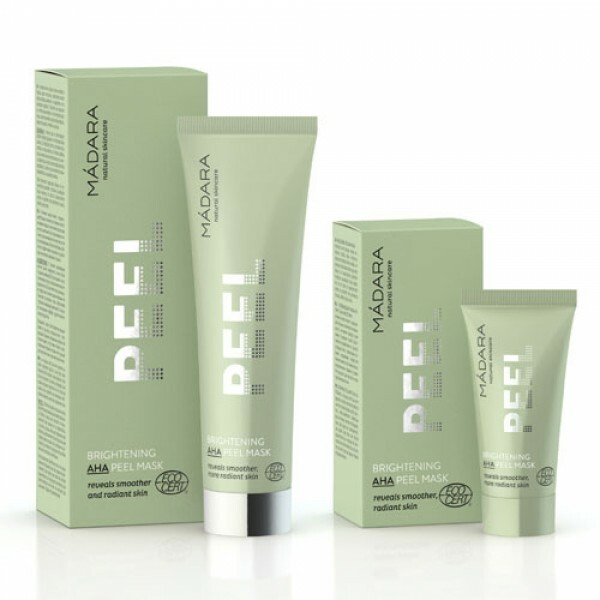 Madara Brightening AHA Peel Mask (60ml) - Brightens dull, tired skin, and targets signs of aging such as lines, wrinkles, age-spots, lack of glow, as well as clogged pores and acne. Packed with active fruit acids and vitamin C from Quince, expertly blended with soothing elderflower this active AHA peeling mask provides efficient exfoliation for bright, radiant and smoothed skin.